Create a charming keepsake quilt or wall hanging for the most stylish nursery or play room. 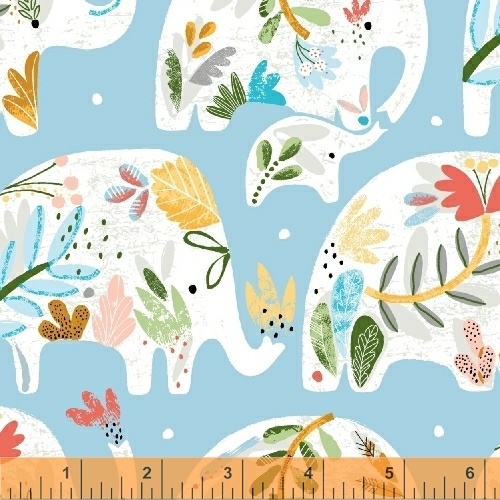 With playful pachyderms, cheery tossed blooms and the sweetest little dot, Ellie will entertain and delight. Your little one will not leave home without their special Ellie quilt! Available in soft blues, greys, corals, yellows and white.